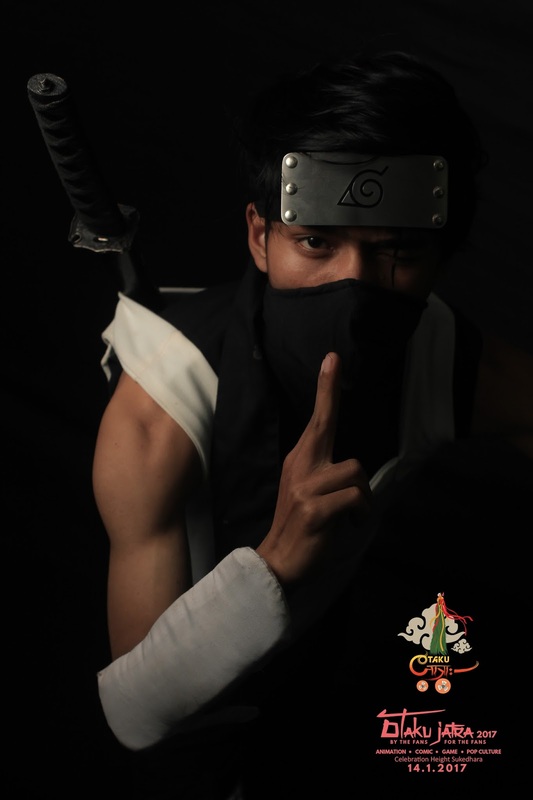 After successfully organizing Nepal's very first cosplay event "Let's Cosplay" on 30th of August, 2014, Otaku Club Nepal is back into action by trying to organize another huge event on the first month of this coming new year 2017. According to the Facebook profile page of Otaku Club Nepal, Otaku Jatra event will be taking place on January 14th, 2017, Saturday on the Celebration Height, Sukedhara, Kathmandu from 10 AM to 6 PM under the collaboration with Lil Bit Entertainment. 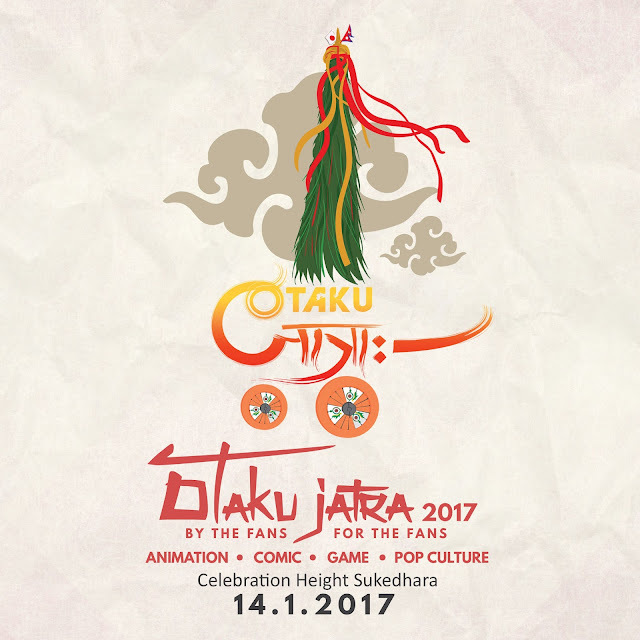 It is going to be a one-day event, organized by the fans and for the fans filled with load of excitement and performance boasts Otaku Club Nepal in their Facebook Page. The prime goal of this event will be to start the upcoming new year 2017 with a bang and to highlight the Japanese culture of Anime and Manga along with Marvel, DC, games and comics, etc. News is that there will be cosplay event, stalls relating to anime/manga culture, anime merchandise, games, foods and drink, etc. "The youth and the people of this area are hoping for another big event, and more chances to promote these interests in this area, and also in the neighboring area. This gives us a sense of strong feeling that we are not alone," underlines Manish Rana, a local anime, manga and gaming enthusiast from Bhaktapur. "Anime and Manga are increasingly popular, but that's not all! Anime lovers or simply otakus should also try to share their thoughts and have discussions. And meet the person with similar interests. 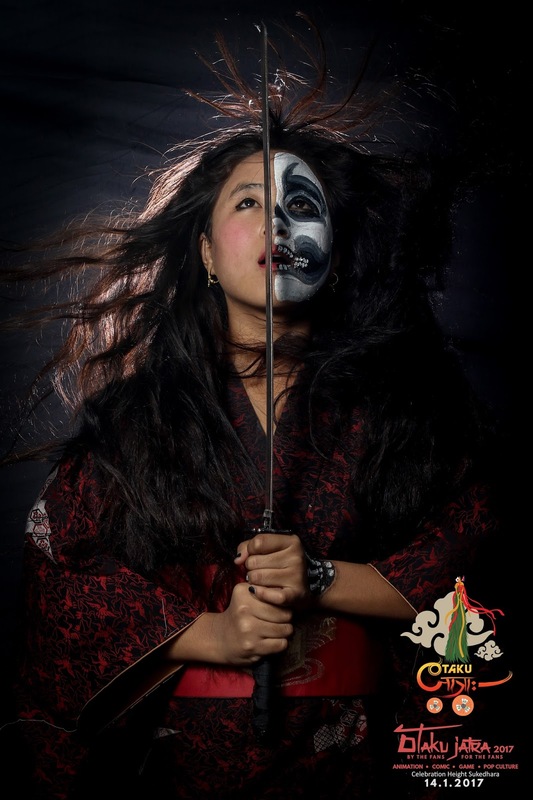 This is going to be a wonderful event," says Puja Rai who cosplayed as Haruno Sakura from Naruto series in the previous "Let's Cosplay" event of Otaku Club Nepal. "You might see me working as a maid serving the guests in this upcoming event," she added, smiling softly. Otaku Club Nepal has mentioned that information regarding this event will be updated further in their Facebook profile page so, interested ones can check their profile page for updates. Well well well, this was it. I just hope that this event will turn out to be something that we would be able to remember it for the rest of our lives. 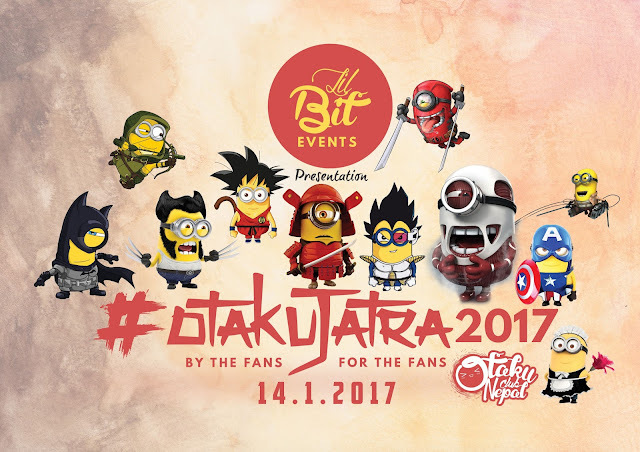 As, an anime plus manga enthusiast myself, I might as well try my best to attend this Otaku Jatra event. And if some of you guys somehow meet me at this event then do remember to say Hello. Otaku Club Nepal which was founded in 2014 is the first and the active club of Nepal that endorses anime and manga and it was established with the sole purpose to unite all anime and manga lovers from Nepal where they can share their interest without any hesitations. I might join as well. Ticket price is Rs. 250 isn't it?